Happy Thursday, friends!! How has your week been so far? Pretty good here...been a pretty normal, average week! We are having friends over on Saturday and Josh is going to smoke a brisket...YUM!! I am up on the Scraptastic Blog today with Jocelyn, and we have issued the first challenge in May! We noticed that both of the scrapbooking kits had telephone(s) in them, and decided that it would be a great challenge idea!! So our challenge for you is to create a project using a telephone on it - the telephone can come in any form (ie; patterned paper, diecut, stamp, etc....) You can link your challenge projects HERE. 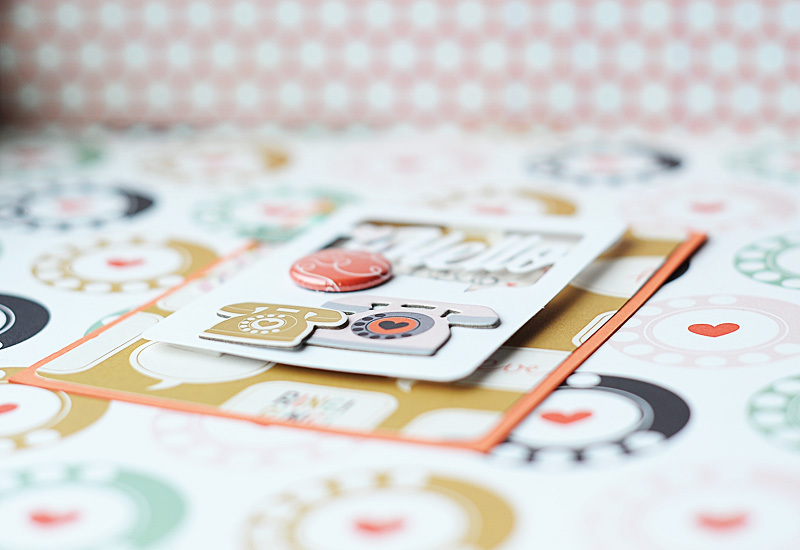 I completely fell in love with all the conversation bubbles & telephone icons included in the kits that I received. It made me think of my very best friend back in my hometown of Missoula, and how much I miss her!! I think she might like to receive this card in the mail...how about you? I'm trying to be better about staying in closer contact with everyone back home, and these kits are going to give me a TON of thinking of you/missing you cards to send! I used goodies from both The Story I Heard Kit & Add-on for this card. I started with a sheet of the 12x12 coral colored cardstock, and cut an A2 card base from it. I cut the conversation bubble patterned paper slightly smaller, rounded the corners with a small corner punch and adhere it directly to the card base. After that I layered all the different diecuts, chipboard stickers, flair & enamel dots to the front...popping the Mini Placemat from Jillibean Soup up with foam adhesive. 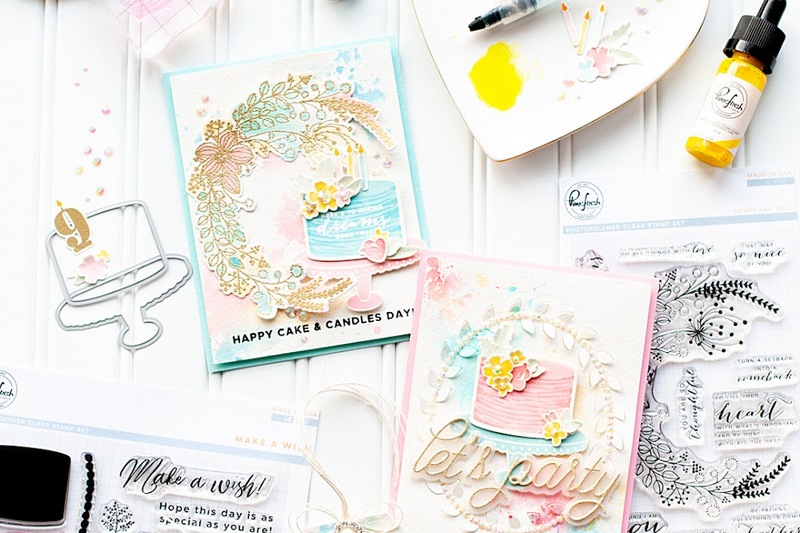 There are so many fun items in these kits, and I just love the sweet theme this month. Both kits are chalked full of the Pink Paislee "Switchboard" products, which I am totally obsessed with right now!! I can tell I am going to be VERY busy crafting my time away this month with all the great bits & pieces!! I can't wait! 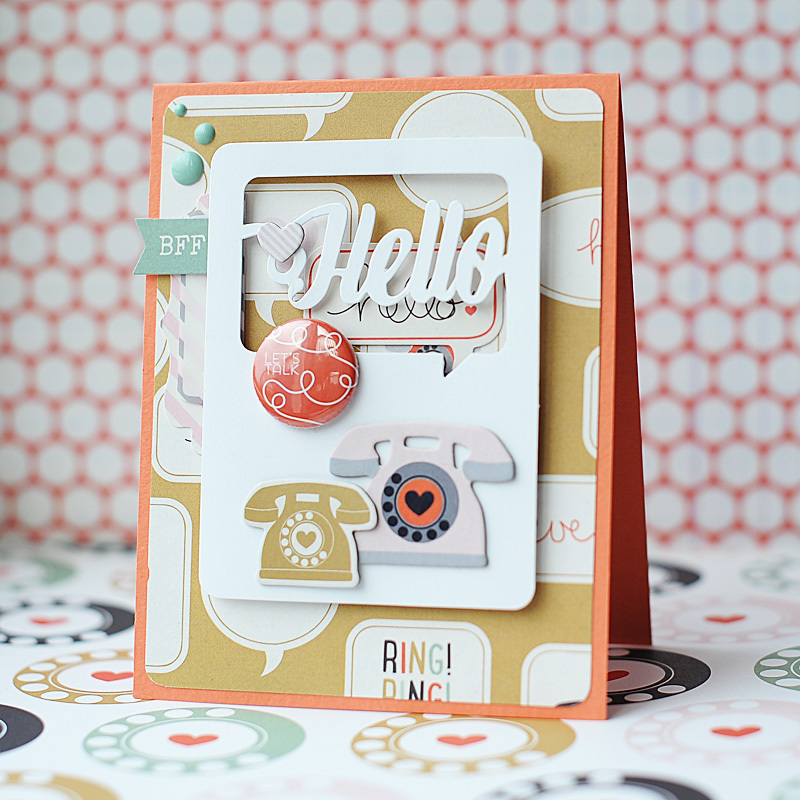 Well, I hope that you've enjoyed my card today and I hope that you will play along with us in our telephone challenge over at the Scraptastic blog!! It will be lots of fun!! 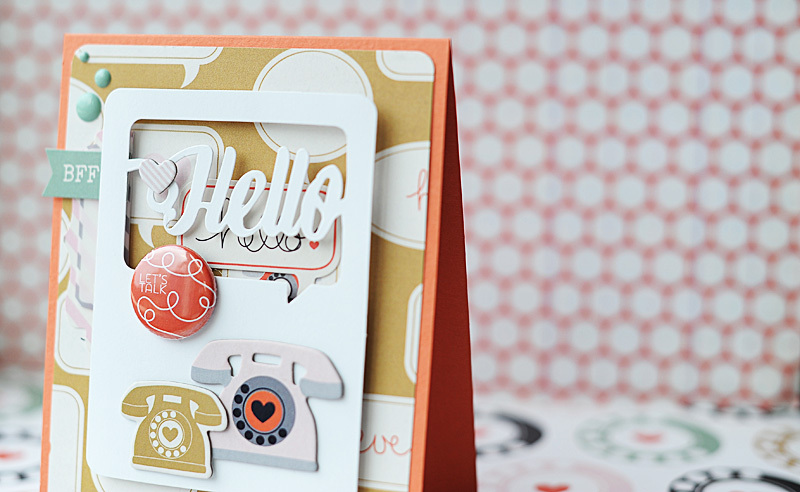 I'm up on the Scraptastic Club blog again today. 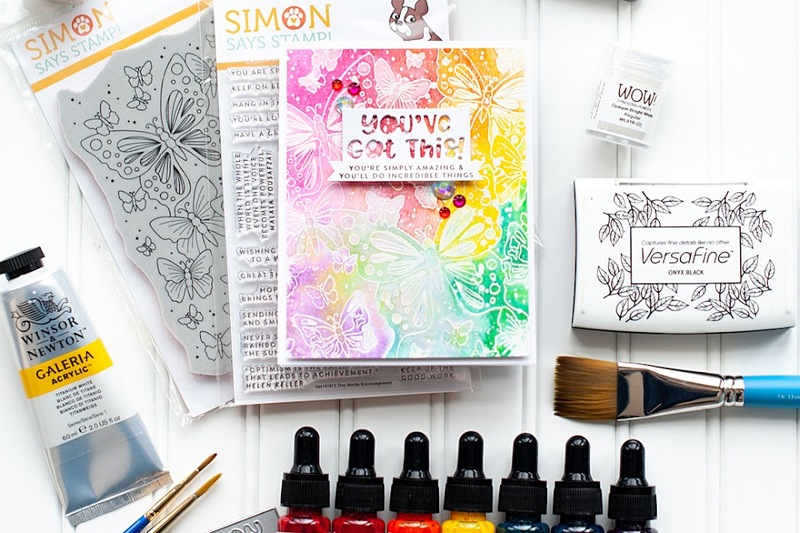 :) Lea and I are hosting a challenge to use telephone images (stamps, die-cuts, stickers, patterned paper, etc.). You can check out the post and the challenge HERE. This card is so amazing, Lea! I absolutely adore how you used the products! This card is so much fun! Love it! 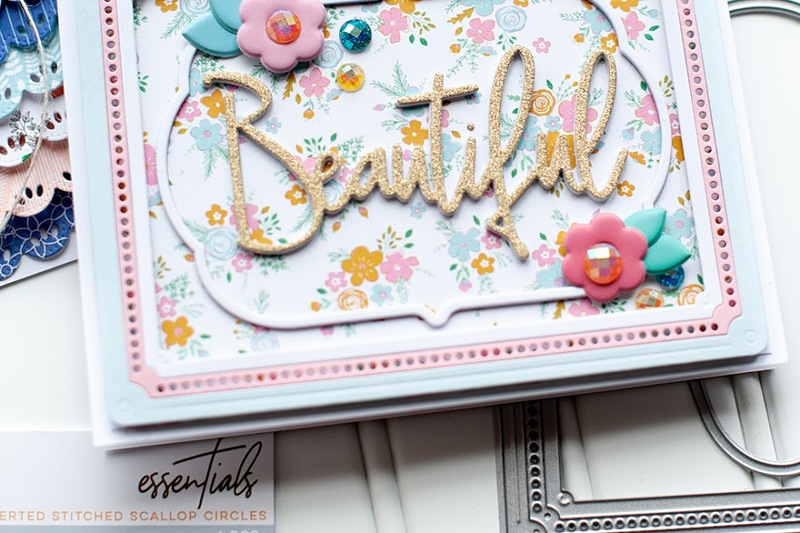 Gorgeous card, love all the layers and embellishments. Stunning! What an awesome card! Thanks so much for sharing with us. This SHINES and screams -PLAYFUL!!! Lovely and just full of wonderfulness! I love the layers and the scrappy piecing together of it all. This is great! Loving all those cute layers and those adorable phones! Thanks so much for playing to find a Cure For The Monday Blues! Lea this is such a fun card! I think anyone would happy to receive this little cutie in the mail. Thank you for sharing this with us over a the Kraft Journal.